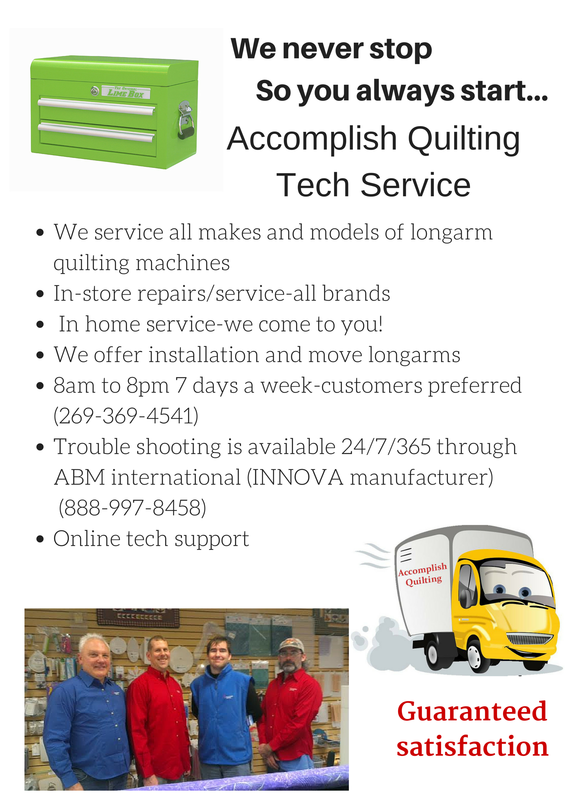 DID YOU KNOW THAT ACCOMPLISH QUILTING REPAIRS AND SERVICES ALL BRANDS OF QUILTING MACHINES? Is your machine acting up. Running ragged? Needs a tune up or major repair? We will have you up and running again in no time! 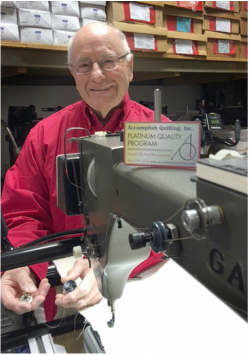 ​Accomplish Quilting has over 60 years of combined experience and 4 technicians that repair all makes and models of Longarm Quilting Machines. Thank you for your great service and the kindness of all your staff. My machine is running great now. It was wonderful how you got us in promptly and did the repair in a few hours so we could take machine back home in the same day. Your service is spectacular. People should think of service when they buy a machine. - Kathy A. In most cases when you make an appointment to bring your machine in we will repair it that day and send it home with you! Bring your machine to AQ Michigan or Tennessee and Clarence, Mark, Scott, or Jeff will service your machine. Call us to schedule an appointment for a service tech to visit your home or bring your sewing head in!